Street rod season is coming soon!! Order your parts now so your car is ready to roll. McMillan Rod & Custom is a proud sponsor of the 2019 NSRA Super Prize Program. Each month we will feature a customer's vehicle. Many years of building street rods myself, now older and busy with Grandkids; so, it was easier to acquire one last year. It's great just to be able to put my own touches, like installing McMillan running board moldings. 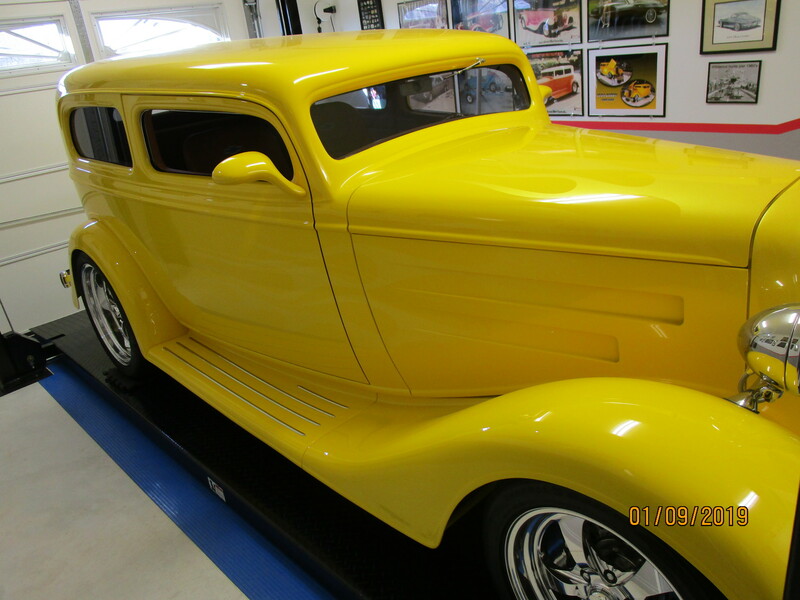 This 1934 Chevy, 2 door sedan, Outlaw body and frame has a Chevy 350/350 Ram Jet crate motor. It also has a 350 Turbo trans and a 9 inch Ford rear with 350 gears, Mustang II front end, Wilwood disc brakes, 17X7 Billet Street Star wheels on front and 20X8 Billet Street Star wheels on rear. It is painted Sunburst Yellow with ghost flames and the interior is wrapped in leather. I have been a Member, for the past 29 years, of The Philadelphia Modifiers Street Rod Club, one of the oldest continuous running clubs in America. As you can see, this car was meticulously built with perfection and surely shows it. McMillan Rod & Custom are fabricators of polished stainless steel components for hot rods and customs selling a line of products and customizing them for you! The product line consists of nerf bars, chin bars, bumpers, air cleaner covers, multi stack fuel injection look air cleaners, faux fuel injection, low profile fuel injection look air cleaners and side vents. 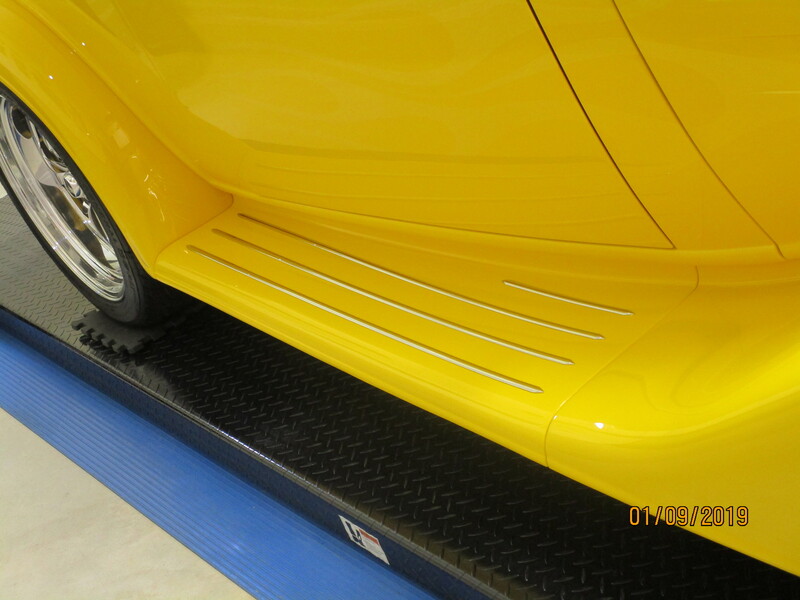 They also offer a line of custom stainless steel moldings for running boards, hoods, body trim and interior trim.